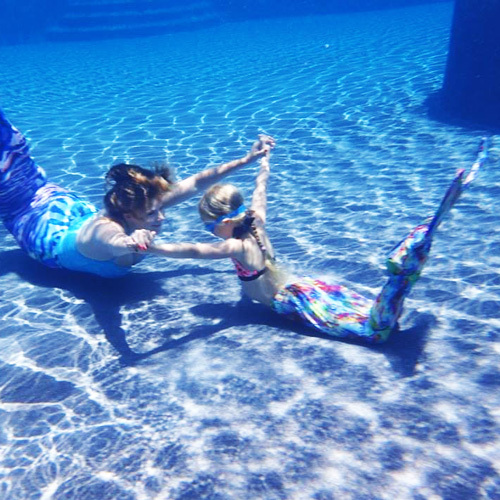 Mermaid experiences are designed to be a one off introduction to the world of mermaiding. It is suitable for everybody providing our prerequisites are met. This includes boys and girls, mams, dads, grandmas and grandads! 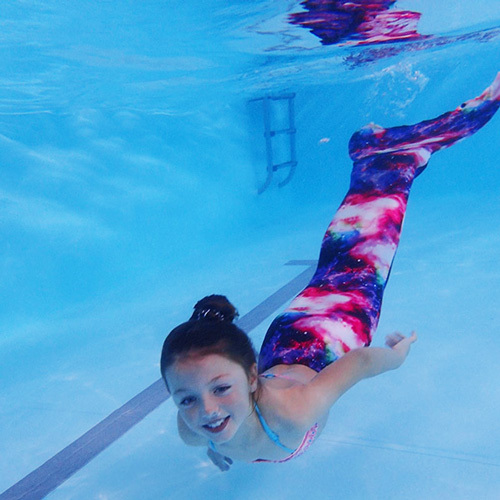 The sessions are usually 90 minutes long and include a brief introduction to swimming like a mermaid, safety information and choosing our tail skin. Once the safety sessions are completed we start swimming wearing just our mono fin to get used to the experience of having both feet bound together and the weight of the fin. Once we are safe and comfortable with that we progress to adding in the tail skin and becoming a fully fledged mer-person. 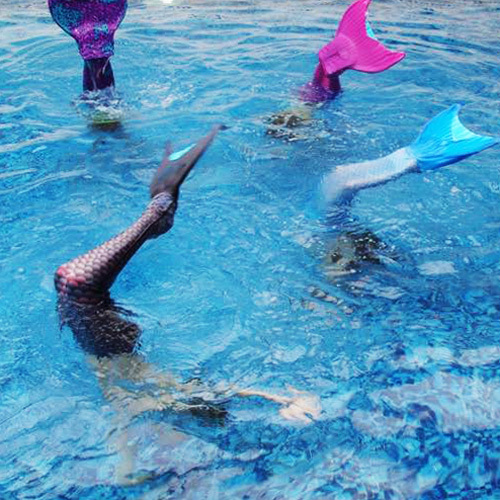 During most experiences we also allow time for people to put on makeup, crowns and glitter before having some photos taken in front of our underwater scenery. All of these images are sent out royalty free following the experiences to all participants using Dropbox.